Does Media 100 (still) make sense for your post-production workflow? Media 100 is a name that prompts numerous memories for experienced professionals. 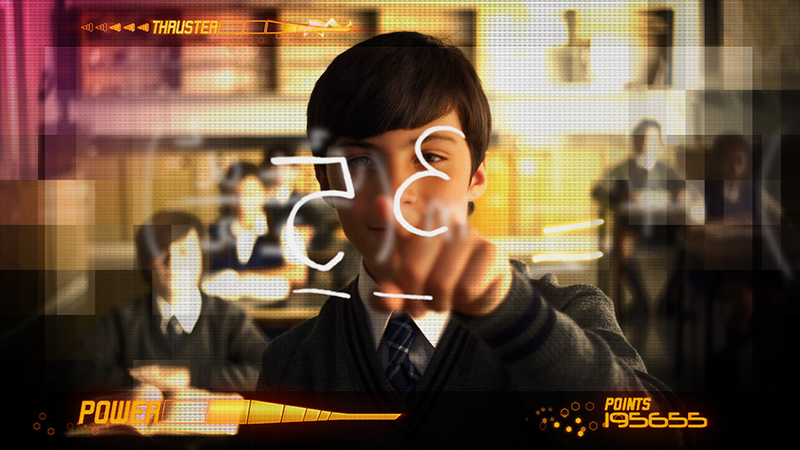 Back when it debuted, the software changed the way professionals thought about editing. As Media 100 founder John Molinari detailed, their mission was to “to build nonlinear systems that empower the individual to compose finished videos, largely on their own, with small overhead costs.” That might sound like a given now, but at the time, it was borderline revolutionary. To make a long story short, Media 100 as a product and as a company has experienced some ups and downs since those early days. Originally established as a division of a larger company, Media 100 was setup as an independent company and went through several mergers and absorptions over a number of years, but those uncertain times are over. The all-new media100.com is a partnership between current owner Boris FX and MacVideo Promo, a promotion company that offers exclusive deals on tools for Mac video editors. Their goal is to showcase how and why Media 100 currently makes sense for workflows and post-production environments throughout the industry. Suffice to say, there’s a lot to talk about when it comes to Media 100, which is why I tracked down Rich D’Angelo from MacVideo Promo. We discussed the history of Media 100, what features have or have not been newly developed, where things will go from here for both Media 100 and Boris FX, plus plenty more. 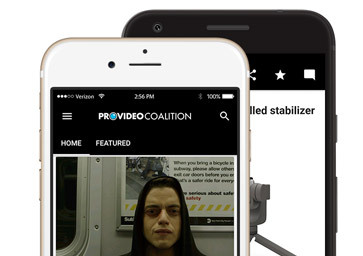 ProVideo Coalition: Anyone who’s curious about the history around Media 100 can always consult Wikipedia, but the ownership details are just part of the story around Media 100. Can you briefly tell us what the software meant to the industry as a whole when it debuted? Rich D’Angelo: Media 100’s vision was to bring nonlinear editing to individuals, giving them the ability to compose finished videos on their own with little overhead – for delivery to a broad audience, including over the Internet. In the early-to-mid 1990s, creating a professional and affordable digital editing system was an extremely novel concept. Media 100’s effort to democratize video was ahead of its time – and paved the road for many post-production businesses and helped build many careers. Media 100 is described as “an easy-to-learn solution that delivers professional quality.” Does that make it closer to a professional NLE or to something like iMovie? 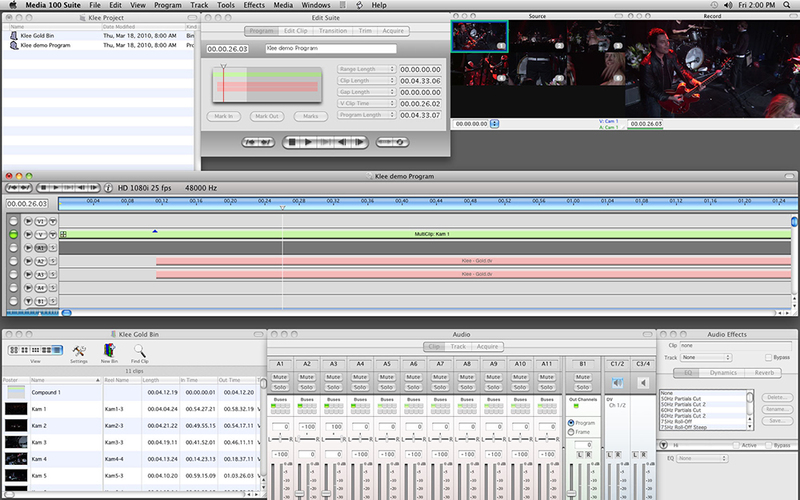 Media 100 was designed to be a professional NLE, but its ease-of-use makes it appealing to anyone who edits video. 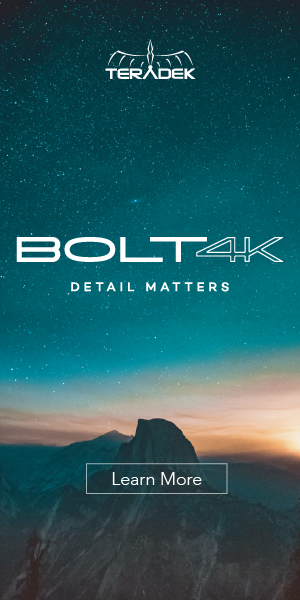 Beyond the interface, there are some key factors that differentiate Media 100 from consumer-oriented editing tools, including: support for video I/O interfaces from AJA and Blackmagic Design and the inclusion of Boris RED compositing and effects tools. It’s worth noting that Boris RED on its own is a $695 value – and customers get a free copy with Media 100. The bundled version of RED plugs into both Media 100 and Premiere Pro for Mac – and it can be used as a stand-alone application too. Media 100 + Boris RED is a phenomenal value for just $99. Media 100 led the charge toward the democratization of video, but it seems to me that it was Final Cut Pro that ended up being the game changer. Would you say that’s accurate? If so, why did Media 100 fall off the radar? That is probably accurate. One of the reasons FCP was such a game changer was aside from the Mac computer, it was not tied to any particular video card or external hardware. Media 100’s roots were in hardware and accelerating video processing. When Final Cut Pro burst on the scene as a software-based NLE with native support for then-new DV cameras, and backed by Apple’s marketing muscle, it was a huge disruptor. Indeed, Final Cut Pro successfully achieved the early vision set forth by Media 100. It wasn’t until Boris FX acquired Media 100 that it became available as a software-only solution. Speaking of which, Boris acquired Media 100 in 2005, and they’ve made over 20 upgrades and updates, so they clearly were looking to do something with the property. Was there always a long term or even short term plan for it? 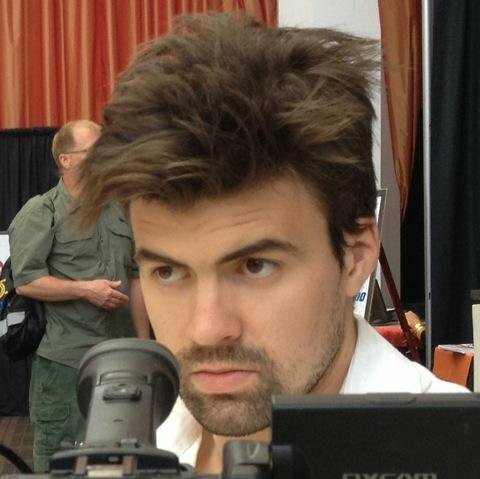 Boris Yamnitsky, the founder and president of Boris FX, was an engineer at Media 100, and he launched Boris FX by developing a DVE plug-in for Media 100 and Adobe Premiere. His professional history, company, and early customer base was deeply tied to Media 100. When the opportunity to take on Media 100 emerged, Boris saw it as a way to support the customer base that was so impactful on his own history. He stepped in, put development resources in place, and moved the platform forward, adding features and enhanced compatibility that was largely influenced by the customer base. In terms of where Media 100 is at today, you’ve laid out some great info on your FAQ page, but how did we get to this point? What have the past few years looked like for Media 100, in terms of getting it to a place where it could be installed on Yosemite? 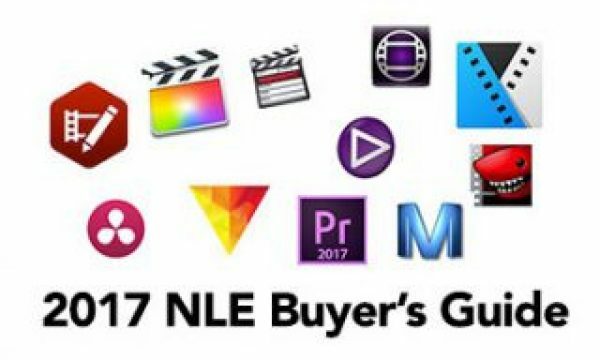 A lot of NLE platforms have gone by the wayside over the past 15 years. The economics of the business, especially for companies serving the professional market, changed dramatically. From a price point perspective, there is almost no distinction between an editing tool for a professional and an editing tool intended for consumers. Making a splash as an editing platform in today’s market requires a completely different approach and business model. This landscape notwithstanding, Boris FX has dutifully kept Media 100 updated to support the latest Mac OS releases and AJA drivers, and Media 100 continues to drive many post-production outfits. MacVideo Promo is responsible for the marketing and promotion of Media 100, so can you tell us about the initiatives you’ve undertaken to alert professionals who are and aren’t aware of the software’s history and where it is at today? We approached Boris FX regarding this partnership as we perceived that a separate, stand-alone effort and website would be the most effective way to breathe new life into Media 100. So, this was the first step, and when combined with the aggressive $99 price point and inclusion of Boris RED, it has proven effective. At one time, there were tens of thousands of Media 100 editors. We have access to a reasonable portion of this population through our mailing list of Mac video professionals. We are also dedicated to keeping Media 100 in the news – illustrating how customers’ businesses are centered on Media 100 via customer profiles, and sharing the collective knowledge of the user base via user-submitted tips and tutorials. Aside from targeting professionals, we are providing free, perpetual Media 100 licenses to schools, and offering a $49.95 version for students and teachers. These educational offers are currently limited-time (through October 31, 2015), but based on the results, we may extend them. We want to get Media 100 and Boris RED into the hands of the next generation of editors. In some ways, it feels like the industry and even the creators of Media 100 were looking to move on from the product, but Media 100 users would not and have not let that happen. Would you say it’s accurate that users like Floh Peters have literally kept the product alive and relevant? What do you think it is about the software that inspires so much dedication and passion in users? Media 100’s vision of democratizing video by providing fast, professional, and easy-to-use tools at breakthrough pricing spawned a generation of new post-production businesses. This history certainly played a role in the dedication and passion we see to this very day. 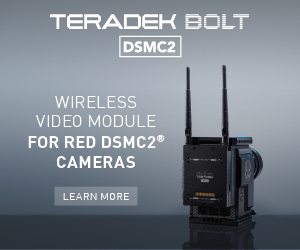 Technical details like which codecs Media 100 supports and which third party video I/O hardware works with it have been specifically laid out, but are you hearing from users who are struggling with the technical aspects of getting Media 100 up and running on their machine? The Media 100 community has been really great about helping new users with getting up and running. Whether on the Facebook group or Creative COW, it seems as though questions and issues receive immediate responses. With the support of the user base, in our observation, we have not seen a lot of struggling. 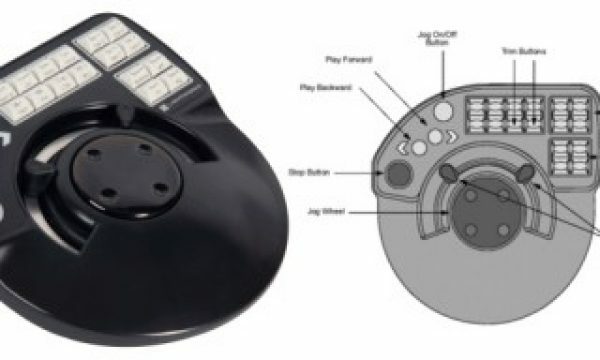 Have any of the software features from the 844/X made it into the Media 100 application? No. The 844/X software was developed independently from Media 100 and 844/X development was suspended by Optibase prior to Media 100 becoming a part of Boris FX. You’ve mentioned that the development of major new features like a 64-bit version of Media 100 will depend on the demand and interest in the marketplace. Is that something you can further define? Will that interest be measured in dollars or in a much less specific manner? Our goal is to create an environment where developing a next-generation Media 100 makes sound business sense. The business justification could take a number of forms – for example, based on how many users download the Trial Version, and/or how many users ultimately purchase Media 100. What do users most appreciate about Media 100 above anything and everything else? Time and time again, when we ask users this question, we are told that the combination of professional quality and ease-of-use is what inspires passion for the application. There are younger professionals out there who might not have ever heard of Media 100, and are probably curious about how the software could be part of their workflow. What would you say to those types of people? Media 100’s simple, uncluttered user interface allows you to focus on the craft of video editing as opposed to learning a complex software application –without sacrificing professional quality. A completely free, full-functioning trial is available for 60 days from www.media100.com. Give it a shot! 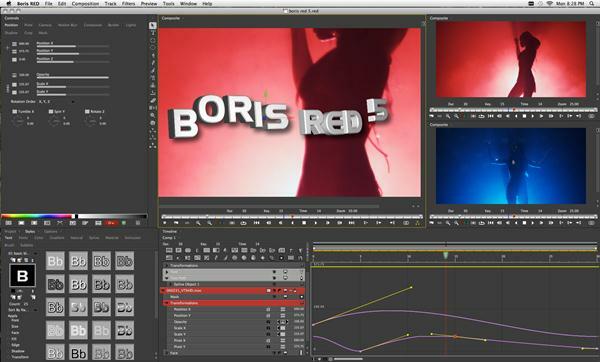 And check out Boris RED, too, which thousands of editors use for in-app transitions, titles, and composites. On the other side of that, there are countless experienced professionals who moved on from Media 100 years ago, and weren’t even aware of the fact that the software is still around. What would you say to those professionals about Media 100 today? Many of these professionals loved Media 100 – and from what we’ve seen, many of them are falling back in love after taking a fresh look. Download a free 60-day trial from www.media100.com. If you like what you see, you can get a perpetual license for just $99 – with Boris RED included. 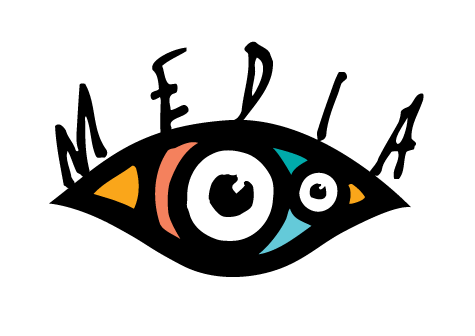 How do you see Media 100 being used and utilized in 2015 and beyond? What sort of professional and environment is it most suited for? In our view, the market for video editing applications is not a zero sum game. There are lots of different tools for different purposes, and more and more editors are skilled at a variety of editing applications. Media 100 is an ideal solution for schools, corporations, and post-production facilities that value an easy-to-learn solution that delivers professional quality. 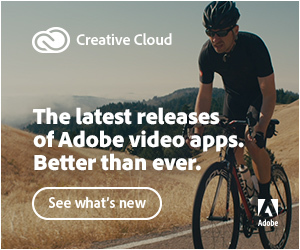 It is also a great complement to Adobe Premiere Pro and After Effects. You can export your Media 100 timeline to Adobe After Effects; the included Boris RED plug-in works with both Media 100 and Premiere Pro; and both Premiere Pro and Media 100 are compatible with AJA and Blackmagic Design video I/O hardware. Media 100 is a valuable $99 add-on to any Adobe environment. Great interview! I remember being inspired when I first heard John Molinari say “Our mission is to make video personal” Boy did it. I think, with out any question, it was Media 100 that revolutionized video editing. Well, Avid took the first step, but, only for off-line editing, and it was too expensive, so it did not really change much, you still went to high end post houses. Media 100 made it so the average production company could take post production in-house. That changed the game. So many plugs for the 60 day demo – when Media 100 is now actually COMPLETELY FREE to download, =D.